Heinz Kohut (1913-81) was born on May 3, 1913 in Vienna, Austria - a country whose culture, literature and music permeated his very being. He finished his medical studies in 1938, after Austria was annexed to Nazi Germany, giving him little time to escape the horrors that awaited the Jews in that country. He then spent a year in England, from where he emigrated to the United State and settled in Chicago in 1939. Trained in neurology and psychiatry, he attained the rank of Assistant Professor in Psychiatry at the University of Chicago. He became a psychoanalyst at the Chicago Institute for Psychoanalysis, where he was a highly esteemed member of the faculty. As teacher, supervisor, mentor, thinker his two-year course on Freud's work became legendary. Kohut became President of the American Psychoanalytic Association for 1964-65. During the last ten years of his life, from 1971 to 1981, even while he was deathly ill throughout, he created his post-Freudian ""self psychology"" - a new theory and treatment approach to psychoanalysis - that was appreciated world-wide. 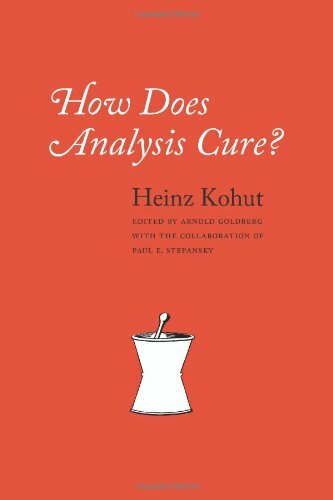 Kohut is the author of many books, including How Does Analysis Cure? and The Restoration of the Self. "A landmark book which will exert increasing influence with passing time. . .its success lies in the accomplishment of its stated aims."